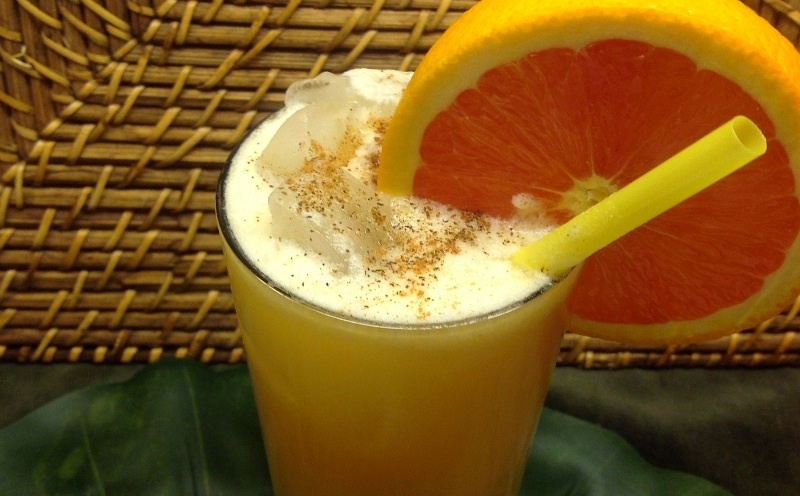 Said to have been invented in 1971 at the Soggy Dollar Bar on Jost Van Dyke Island (British Virgin Islands), the first recipe called for Mount Gay & Cruzan rums, which was the first way I tried it (and liked it). However, the Pusser’s Rum company trademarked the recipe. The recipe at the Soggy Dollar Bar is still served, but with Pusser’s instead. Conflicted, I felt the need to try both recipes due to my fondness for all the rums involved. I said in an earlier posting how Mount Gay is one of my favorites, and the same can be said regarding Pusser’s. In fact, Demerara rum, which only comes from Guyana, is the reason. I could probably say some demerara rums are of my favorites. Since Pusser’s uses demerara rum as a key ingredient in blending, that’s how it rose so high in my opinion. Pusser’s is categorized as a navy rum – a specific way to distill rum by using wooden pot stills. The first thing I enjoy after opening a bottle of Pusser’s, just like with any demerara rum, is smell it, breathing deeply the sweet richness. It almost makes my mouth water to savor the aromas celebrating in my nostrils. For more information, please visit their website at http://pussersrum.com (they told me it is redesigned, describing it as “more interactive and user-friendly”). When it came down to it, I cannot say which I prefer between the Mount Gay/Cruzan or the Pusser’s versions, but understand each their own purpose, depending on what I might want on whatever day. Each deals out plenty of complexity, as if the navy rum matches the joined multi-rum experience. I did not taste the two drinks side by side, which I probably might do in the near future. I’m certainly not going to propose one over the other to you. After all, your opinion for your own drink is more important than mine. The Painkiller is very similar to a Piña Colada, as the main flavors of rum, pineapple and coconut fight it out for supremacy. It’s the orange that offers far more than I expected, both marrying the flavors of the pineapple and coconut, as well as dividing them by proclaiming its own. It should not have surprised me in how effectively it achieved these properties. The Soggy Dollar Bar protects the recipe by not divulging how much mixers are used. After searching, and watching videos on how they mix the drink (pouring premixed from a jug), Beachbum Berry offered the closest breakdown, and from whom I learned both versions (from both his books and what was written online). 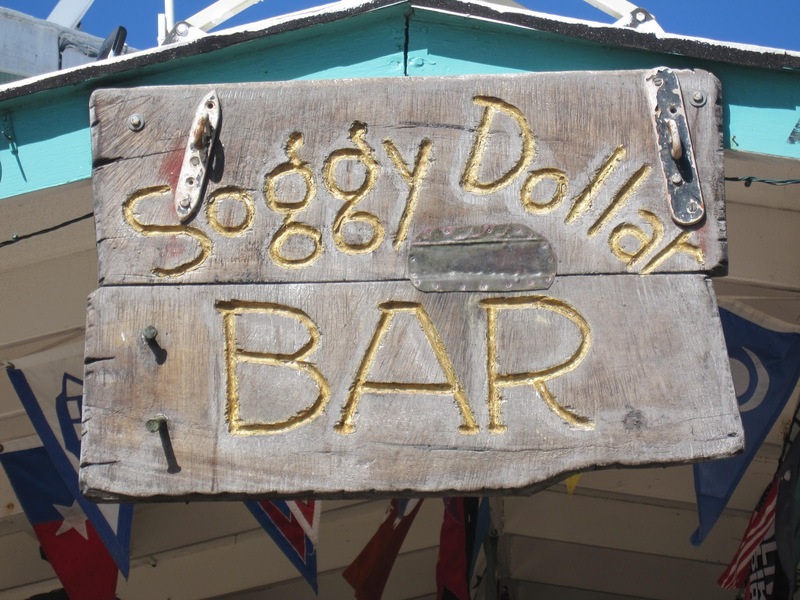 So you know, the Soggy Dollar Bar got its name by hanging wet bills from a line after customers swam to shore, due to the beach not supplying a pier to dock one’s boat. Genius. One other thing, the recipe calls for Lopez brand of coconut cream. I made mine with Coco Real brand, which I have heard is close enough, and might be easier to find (depending on your area of course). I have also heard the Lopez is creamier, but have yet to try it myself. I’m going to try to find it to see the difference, that is if I can find it without much effort. Shake all but the spices with crushed ice. Pour unstrained into glass, and add more crushed ice (but do not mound out of the surface). Sprinkle cinnamon and nutmeg on top. Garnish with pineapple spear and orange wheel. For the Mount Gay/Cruzan version, use same amount as above, using half of each rum. For an upscale production, freshly squeezed orange juice and fresh pineapple juice can tremendously earn a broader smile. Now you may think making your own pineapple juice is a pain. It really isn’t that much trouble. The hard part is cleaning up afterward. Simply throw chunks of pineapple into a blender, and strain, pressing down on the solids to get out the last delicious drops. You won’t be sorry. This entry was posted in Painkiller by Jack. Bookmark the permalink. Always always always use fresh-squeezed citrus juice! Thanks for the follow, you’ve got a nice blog going. Yes sir, citrus must be freshly squeezed. I appreciate your interest. Thanks for the informative article and link to Pusser’s Rum. In July 2012, Pusser’s Rum LTD has undertaken new management – we have since re-energized our commitment to providing the one of the finest rum’s in the world. Additionally, we have rolled out a new, more interactive and user-friendly website. We hope you will update your link [http://pussersrum.com] so that your visitors would find the most accurate information. So glad to hear your night’s hosting tipped successfully. What a warm feeling to please with such a simple gesture of fond creature comforts, not to mention being complimented on a job well done. The ratios of ingredients are always your decision, and better realized after experimenting. And overproof spirits will inflexibly remind you time and time again of their greatness, teaching respect and fear – respect for profound flavor, yet fear in the consequences. On the other hand, according to The 86 Rules of Boozing (if unfamiliar, see http://www.drunkard.com), No. 35 states: “Learn to appreciate hangovers. If it was all good times every jackass would be doing it.” I was also cheered to hear of your appreciation of the garnish. It’s important, and in this case fundamental to the overall taste of the drink. Thanks for letting me know.